Germans love their bratwurst! Pictured here is traditional bratwurst served with German potato salad. 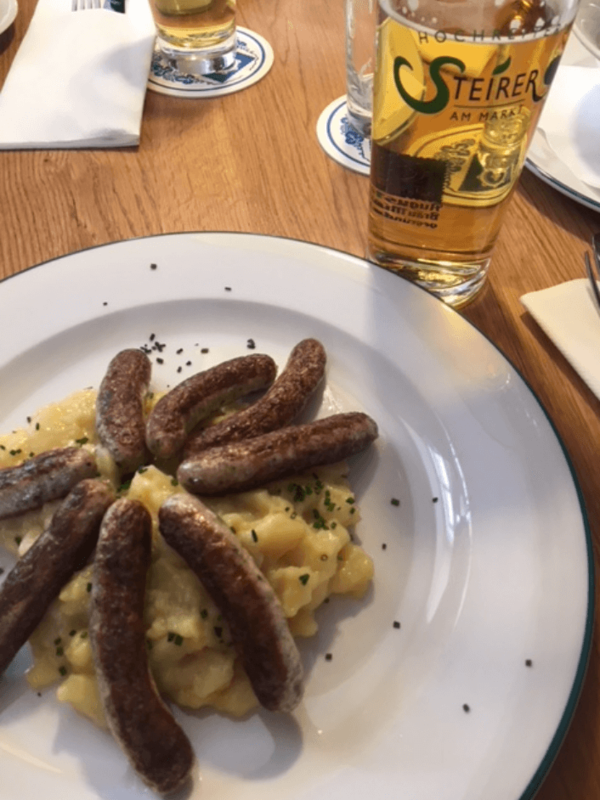 Bavarian Germans (which is a region including Munich) love their sausage so much that it’s a staple at almost every meal, including breakfast. 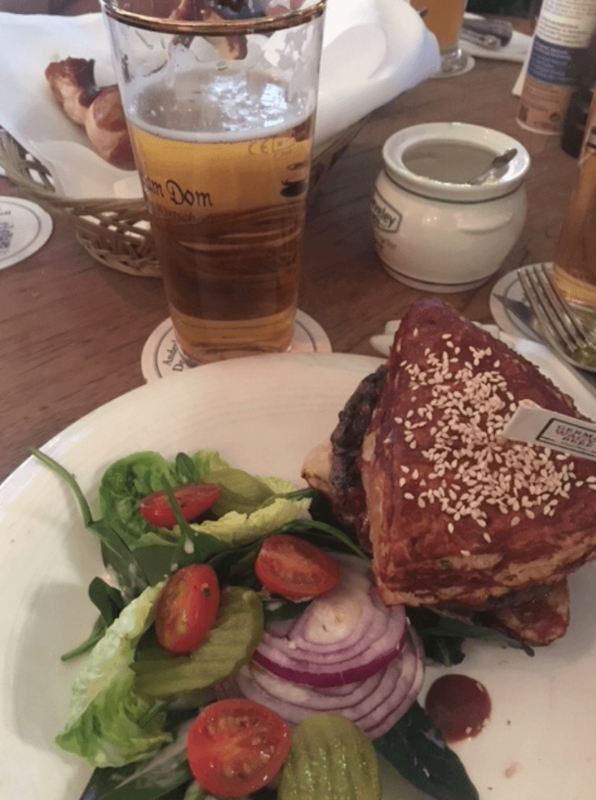 I ate this burger in Munich, Germany – it turns out they don’t eat their burgers too differently from us Americans! The sauce on this burger in particular was sweet more so than savory, but it was a great way to mix it up from the classic US ketchup and mustard combo. If you look closely in the picture, you can see a basket full of soft pretzels, which they serve at just about every meal as a starter. Speaking of pretzels, I had the pretzel below in Salzburg, Austria where they also have an affinity for big, salty soft “brezels”! Fondue! 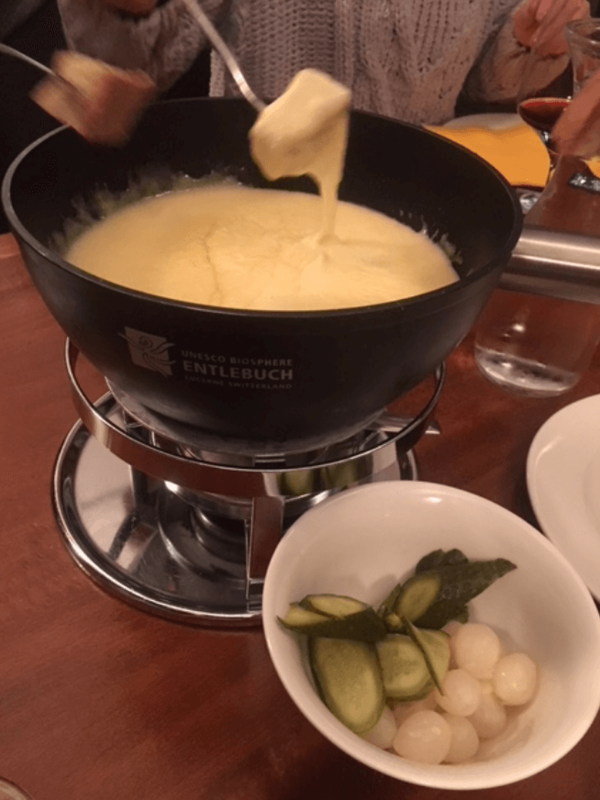 Thisfondue was served on my last night in Switzerland. The traditional way to serve a cheese fondue in Lucerne is with Swiss cheese (duh), bread, pickles, and onions. As a Wisconsin girl who grew up loving cheese, this was one of my foodie highlights! And pickles and onions count as vegetables, obviously. 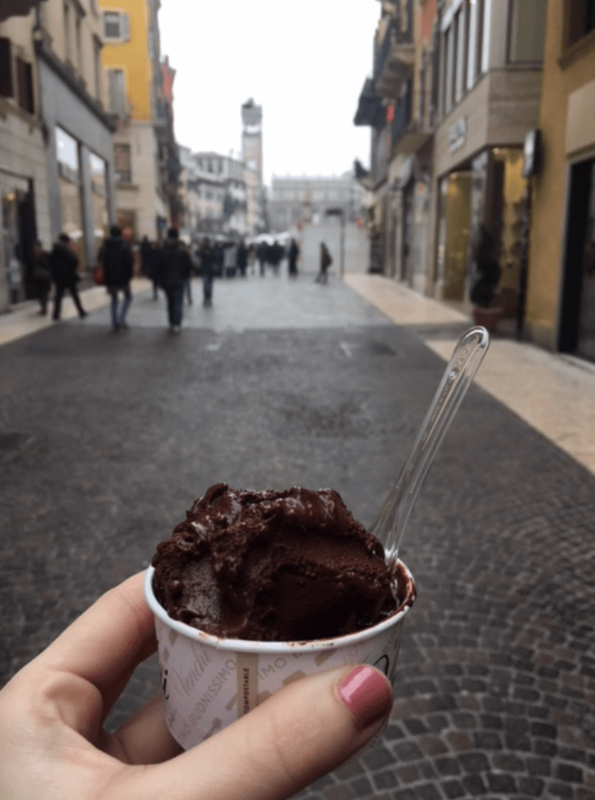 Last but not least, no trip to Italy can be complete with gelato! Behind this beautiful cup of gelato is the streets of Verona, the birthplace of Juliet and the scene of Shakespeare’s Romeo and Juliet. Traveling the world is an incredible experience, and experiencing the foods of other cultures makes me appreciate the variety that we have here in the US! Happy National Nutrition Month fellow RD-to-bes and RDs! Get out there and eat some good food this month! 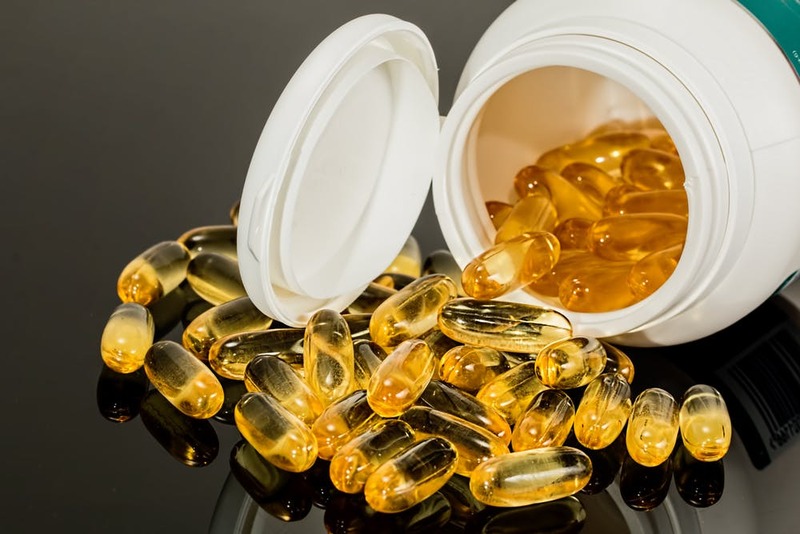 Kate Egan is a new RDN working for Noom as a virtual health coach. 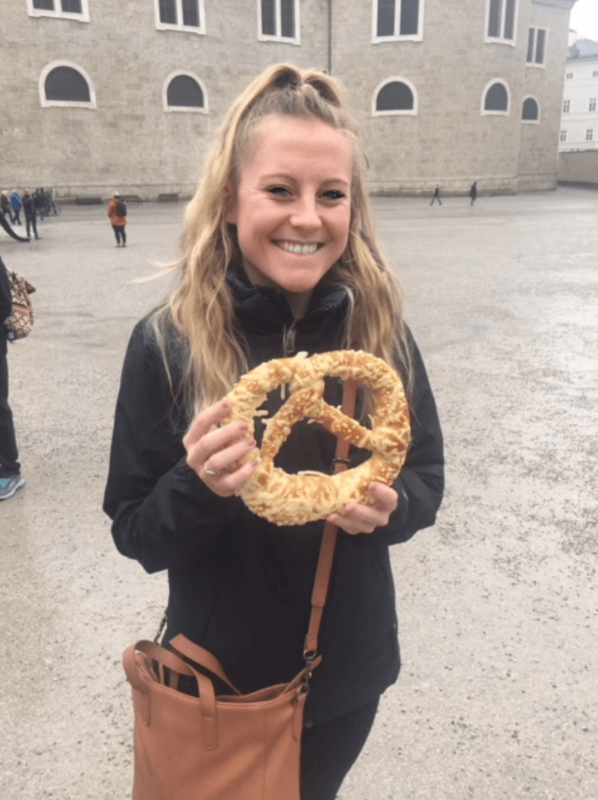 She completed her dietetic intern and MBA at Dominican University in River Forest, IL.She graduated with a BS in Dietetics and a minor in Child and Family Studies from University of Wisconsin – Stevens Point in 2015. In addition to blogging for CAND, she has also blogged for Student Scoop, the student blog portion of AND’s Food and Nutrition Magazine.